Can you name that Top 40 pop song in 10 seconds? Sure, that sounds easy. Can you name that pop song—even if it’s played slightly out of tune? Uh oh, that’s a lot harder. However, if you can guess 10 in a row, you might share in a cash prize. 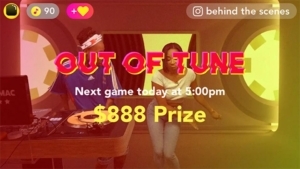 That’s the point of “Out of Tune,” an online music trivia game where players mostly in their teens and 20s compete to win small cash prizes–just enough to make the game more fun. 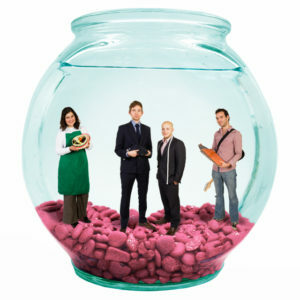 And fun is the point of “Out of Tune,” launched in August by FTW Studios, a startup based in New York. 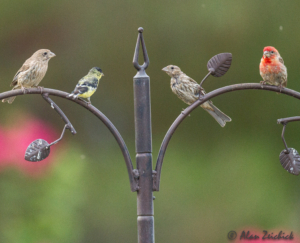 What’s different about “Out of Tune” is that it’s designed for group play in real time. The intent is that players will get together in groups, and play together using their Android or Apple iOS phones. How does the game work? Twice a day, at 8 p.m. and 11 p.m. Eastern time, a DJ launches the game live from New York City. The game consists of 10 pop songs played slightly out of tune—and players, using a mobile app on their phones, have 10 seconds to guess the song. Players who guess all the songs correctly share in that event’s prize money. Knowledge is power—and knowledge with the right context at the right moment is the most powerful of all. Emerging technologies will leverage the power of context to help people become more efficient, and one of the first to do so is a new generation of business-oriented digital assistants. Let’s start by distinguishing a business digital assistant from consumer products such as Apple’s Siri, Amazon’s Echo, and Google’s Home. 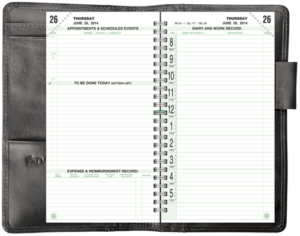 Those cloud-based technologies have proved themselves at tasks like information retrieval (“How long is my commute today?”) and personal organization (“Add diapers to my shopping list”). Those services have some limited context about you, like your address book, calendar, music library, and shopping cart. What they don’t have is deep knowledge about your job, your employer, and your customers. In contrast, a business digital assistant needs much richer context to handle the kind of complex tasks we do at work, says Amit Zavery, executive vice president of product development at Oracle. Which sorts of business tasks? How about asking a digital assistant to summarize the recent orders from a company’s three biggest customers in Dallas; set up a conference call with everyone involved with a particular client account; create a report of all employees who haven’t completed information security training; figure out the impact of a canceled meeting on a travel plan; or pull reports on accounts receivable deviations from expected norms? Those are usually tasks for human associates—often a tech-savvy person in supply chain, sales, finance, or human resources. That’s because so many business tasks require context about the employee making the request and about the organization itself, Zavery says. A digital assistant’s goal should be to reduce the amount of mental energy and physical steps needed to perform such tasks. Go ahead, blame the user. You can’t expect end users to protect their Internet of Things devices from hacks or breaches. They can’t. They won’t. Security must be baked in. Security must be totally automatic. And security shouldn’t allow end users to mess anything up, especially if the device has some sort of Web browser. Case in point: Medical devices with some sort of network connection, and thus qualify as IoT. In some cases, those connections might be very busy, connecting to a cloud service to report back telemetry and diagnostics, with the ability for a doctor to adjust functionality. In other cases, the connections might be quiet, used only for firmware updates. In either case, though, any connection might lead to a vulnerability. They account for 51% of all security issues across tens of thousands devices included in this study. Several characteristics of imaging systems attribute to it being the most risky device in an organization’s inventory. Imaging systems are often designed on commercial-off-the-shelf (COTS) OS, they are expected to have long lifespan (15-20 years), very expensive to replace, and often outlive the service agreement from the vendors as well as the COTS provider. Even if the device operator’s intentions are good, you don’t want the device used to access, say, Gmail. And then get a virus. 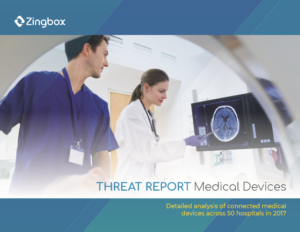 Remember, many of the larger IoT medical devices run Windows, and may not have up-to-date malware protection. Or any malware protection whatsoever. Human error poses another risk. Although these devices are supposed to operate on their own, they still need to receive instructions from people. The wrong commands could result in mistakes. “Human error is always a big part of security breaches, even if it’s not always done with malicious intent,” Kane said. Indeed, the IoT world is pretty dangerous… thanks to those darned end users. Yet there is a slowdown happening. Hard to say whether it’s merely seasonal, or an indication that despite the latest and newest features, it’s getting harder to distinguish a new phone from its predecessors. Apple (58%) leads in planned smartphone buying but is down 11 points. Samsung (15%) is up 2 points, as consumer excitement builds around next-gen Galaxy S9 and S9+ devices, scheduled to be released in March. Google (3%) is showing a slight improvement, buoyed by the October release of its Pixel 2 and 2 XL handsets. Apple’s latest releases are the most in-demand among planned iPhone buyers: iPhone X (37%; down 6 points), iPhone 8 (21%; up 5 points) and iPhone 8 Plus (18%; up 4 points). A bold new camera, cutting-edge processor and a fix to a galling ergonomic pitfall — all in a body that looks nearly identical to last year’s model. 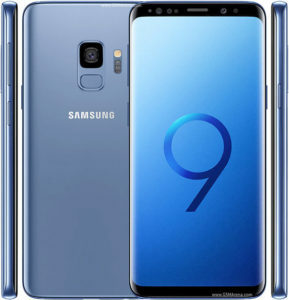 That, in a nutshell, is the Samsung Galaxy S9 (with a 5.8-inch screen) and its larger step-up model, the Galaxy S9 Plus, which sports an even bigger 6.2-inch screen. Cnet calls out two features. First, a camera upgrade that includes variable aperture designed to capture better low-light images – which is where most phones really fall down. … the Galaxy S9 is actually a pretty simple device to explain. In essence, it’s the Galaxy S8, with a couple of tweaks (like moving the fingerprint sensor to a more sensible location), and all the specs jacked up to the absolute max for the most powerful device on the market — at least, on paper. 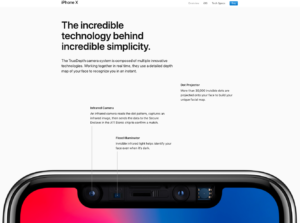 With shrinking bezels, gadget makers have to look for new solutions like the iPhone X notch. Others still, like Vivo and Huawei, are look at more elegant solutions than carving out a bit of the screen. For Huawei, this means using a false key within the keyboard to house a hidden camera. Press the key and it pops up like a trapdoor. We tried it out and though the housing is clever, the placement makes for awkward photos — just make sure you trim those nose hairs before starting your conference call. Vivo has a similar take to Huawei though the camera is embedded on a sliding tray that pops-up out of the top of the phone. So, there’s still room for innovation. A little room. Beyond cameras, and some minor ergonomic improvements, it’s getting harder and harder to differentiate one phone from another – and possibly, to convince buyers to shell out for upgrades. At least, that is, until 5G handsets hit the market. You are not the user. If you are the CEO, CTO, chief network architect, software developer – you aren’t the user of the software or systems that you are building, or at least, you aren’t the primary user. What you are looking for isn’t what your customer or employee is looking for. And the vocabulary you use isn’t the vocabulary your customer is using, and may not be what your partners say either. I recently had my hair cut, and the stylist asked me, “Do you need any product?” Well, I don’t use product. I use shampoo. “Product” is stylist-speak, not customer-speak. While many people who earn a living from developing software will write tons of programs to make their own life easier, much, if not most, of their output will in fact be intended for other people — people who are not working in a cubicle nearby, or not even in the same building. These “users” are usually very different than those who write the code, even in the rare case where they are developers: they have different backgrounds, different experiences with user interfaces, different mindsets, different mental models, and different goals. They are not us. Badiu defines the false-consensus effect as, “The false-consensus effect refers to people’s tendency to assume that others share their beliefs and will behave similarly in a given context.” And that is more than designing cool software. Good design, and avoiding a false consensus, requires real-life situations with real-life customers or end users. The way I navigate a grocery store is not the way that the store’s designer, or store’s manager, navigates it. It’s certainly not the way that the store’s manager navigates it. Or its chief risk officer. That’s why grocery stores spend a fortune observing users and testing different layouts to not only maximize sales and profitability, but also maximize the user’s satisfaction. A good design often requires a balance between the needs of the designer and the needs of the users. My wife was recently frustrated when navigating an insurance company’s website. It was clearly not designed for her use case. Frankly, it’s hard to imagine anyone being satisfied with that website. And how about the process of logging into a WiFi network in a hotel, airport, or coffee shop? Could it be more difficult? Match between system and the real world: The system should speak the users’ language, with words, phrases and concepts familiar to the user, rather than system-oriented terms. Follow real-world conventions, making information appear in a natural and logical order. That’s so familiar. How many of us have been frustrated by dialog boxes, not knowing exactly what will happen if we press “Cancel” or “Okay”? Prototype: Build real, tactile representations for a subset of your ideas. The goal of this phase is to understand what components of your ideas work, and which do not. In this phase you begin to weigh the impact vs. feasibility of your ideas through feedback on your prototypes. Put your prototype in front of real customers and verify that it achieves your goals. Has the users’ perspective during onboarding improved? Does the new landing page increase time or money spent on your site? As you are executing your vision, continue to test along the way. Never forget, you are not the user. From January 1, 2005 through December 27, 2017, the Identity Theft Resource Center (ITRC) reported 8,190 breaches, with 1,057,771,011 records exposed. That’s more than a billion records. Billion with a B. That’s not a problem. That’s an epidemic. That horrendous number compiles data breaches in the United States confirmed by media sources or government agencies. Breaches may have exposed information that could potentially lead to identity theft, including Social Security numbers, financial account information, medical information, and even email addresses and passwords. Of course, some people may be included on multiple breaches, and given today’s highly interconnected world, that’s probably very likely. There’s no good way to know how many individuals were affected. Security breaches can be broken down into a number of additional sub-categories by what happened and what information (data) was exposed. What they all have in common is they usually contain personal identifying information (PII) in a format easily read by thieves, in other words, not encrypted. As we’ve seen, data loss has occurred when employees store data files on a cloud service without encryption, without passwords, without access controls. It’s like leaving a luxury car unlocked, windows down, keys on the seat: If someone sees this and steals the car, it’s theft – but it was easily preventable theft abetted by negligence. The rate of breaches is increasing, says the ITRC. The number of U.S. data breach incidents tracked in 2017 hit a record high of 1,579 breaches exposing 178,955,069 records. This is a 44.7% increase over the record high figures reported for 2016, says the ITRC. Hacking continues to rank highest in the type of attack, at 59.4% of the breaches, an increase of 3.2 percent over 2016 figures: Of the 940 breaches attributed to hacking, 21.4% involved phishing and 12.4% involved ransomware/malware. Nearly 20% of breaches included credit and debit card information, a nearly 6% increase from last year. The actual number of records included in these breaches grew by a dramatic 88% over the figures we reported in 2016. Despite efforts from all stakeholders to lessen the value of compromised credit/debit credentials, this information continues to be attractive and lucrative to thieves and hackers. Data theft truly is becoming epidemic. And it’s getting worse. Wireless Ethernet connections aren’t necessarily secure. The authentication methods used to permit access between a device and a wireless router aren’t very strong. The encryption methods used to handle that authentication, and then the data traffic after authorization, aren’t very strong. The rules that enforce the use of authorization and encryption aren’t always enabled, especially with public hotspots like in hotel, airports and coffee shops; the authentication is handled by a web browser application, not the Wi-Fi protocols embedded in a local router. Four new capabilities for personal and enterprise Wi-Fi networks will emerge in 2018 as part of Wi-Fi CERTIFIED WPA3™. Two of the features will deliver robust protections even when users choose passwords that fall short of typical complexity recommendations, and will simplify the process of configuring security for devices that have limited or no display interface. Another feature will strengthen user privacy in open networks through individualized data encryption. Finally, a 192-bit security suite, aligned with the Commercial National Security Algorithm (CNSA) Suite from the Committee on National Security Systems, will further protect Wi-Fi networks with higher security requirements such as government, defense, and industrial. One of the key improvements in WPA3 will aim to solve a common security problem: open Wi-Fi networks. Seen in coffee shops and airports, open Wi-Fi networks are convenient but unencrypted, allowing anyone on the same network to intercept data sent from other devices. WPA3 employs individualized data encryption, which scramble the connection between each device on the network and the router, ensuring secrets are kept safe and sites that you visit haven’t been manipulated. Another key improvement in WPA3 will protect against brute-force dictionary attacks, making it tougher for attackers near your Wi-Fi network to guess a list of possible passwords. The new wireless security protocol will also block an attacker after too many failed password guesses. The KRACK vulnerability allows malicious actors to access a Wi-Fi network without the password or key, observe what connected devices are doing, modify the traffic amongst them, and tamper with the responses the network’s users receive. Everyone and anything using Wi-Fi is at risk. Computers, phones, tablets, gadgets, things. All of it. This isn’t just a flaw in the way vendors have implemented Wi-Fi. No. It’s a bug in the specification itself. The timing of the WPA3 release couldn’t be better. But what about older devices. I have no idea how many of my devices — including desktops, phones, tablets, and routers — will be able to run WPA3. I don’t know if firmware updates will be automatically applied, or I will need to search them out. What’s more, what about the millions of devices out there? Presumably new hotspots will downgrade to WPA2 if a device can’t support WPA3. (And the other way around: A new mobile device will downgrade to talk to an older or unpatched hotel room’s Wi-Fi router.) It could take ages before we reach a critical mass of new devices that can handle WPA3 end-to-end. 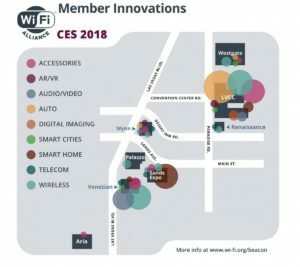 The Wi-Fi Alliance says that it “will continue enhancing WPA2 to ensure it delivers strong security protections to Wi-Fi users as the security landscape evolves.” Let’s hope that is indeed the case, and that those enhancements can be pushed down to existing devices. If not, well, the huge installed base of existing Wi-Fi devices will continue to lack real security for years to come. 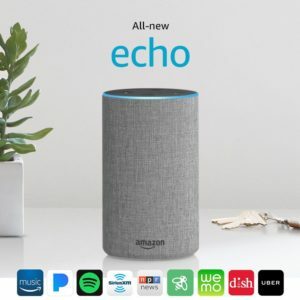 The Echo products are an ever-expanding family of inexpensive consumer electronics from Amazon, which connect to a cloud-based service called Alexa. The devices are always listening for spoken commands, and will respond through conversation, playing music, turning on/off lights and other connected gadgets, making phone calls, and even by showing videos. While Amazon doesn’t release sales figures for its Echo products, it’s clear that consumers love them. In fact, Echo is about to hit the road, as BMW will integrate the Echo technology (and Alexa cloud service) into some cars beginning this year. Expect other automakers to follow. Why the Echo – and Apple’s Siri and Google’s Home? Speech. The traditional way of “talking” to computers has been through the keyboard, augmented with a mouse used to select commands or input areas. Computers initially responded only to typed instructions using a command-line interface (CLI); this was replaced in the era of the Apple Macintosh and the first iterations of Microsoft Windows with windows, icons, menus, and pointing devices (WIMP). Some refer to the modern interface used on standard computers as a graphic user interface (GUI); embedded devices, such as network routers, might be controlled by either a GUI or a CLI. Smartphones, tablets, and some computers (notably running Windows) also include touchscreens. While touchscreens have been around for decades, it’s only in the past few years they’ve gone mainstream. 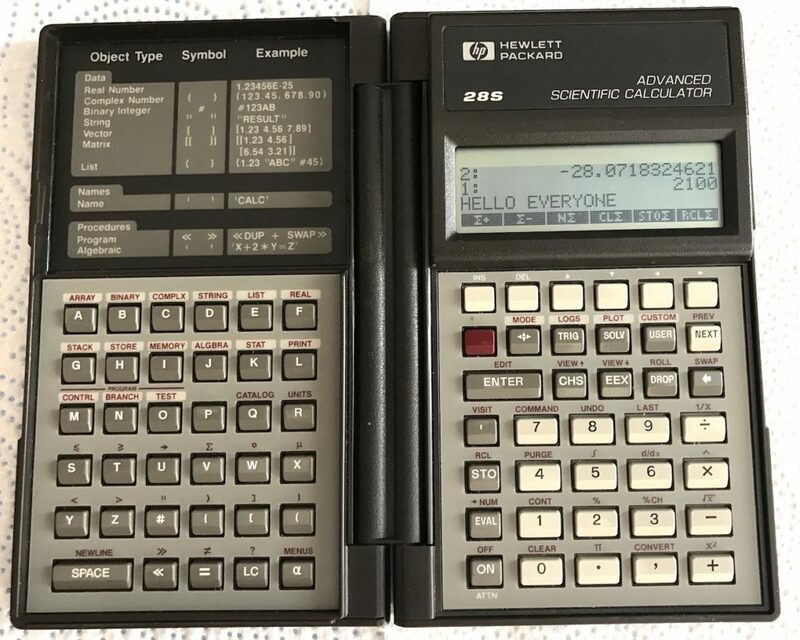 Even so, the primary way to input data was through a keyboard – even if it’s a “soft” keyboard implemented on a touchscreen, as on a smartphone. Enter speech. Sometimes it’s easier to talk, simply talk, to a device than to use a physical interface. Speech can be used for commands (“Alexa, turn up the thermostat” or “Hey Google, turn off the kitchen lights”) or for dictation. “The speech recognition technology is expected to hold the largest share of the market during the forecast period due to its growing use in multiple applications owing to the continuously decreasing word error rate (WER) of speech recognition algorithm with the developments in natural language processing and neural network technology. The speech recognition technology finds applications mainly across healthcare and consumer electronics sectors to produce health data records and develop intelligent virtual assistant devices, respectively. Right now, many of us are talking to Alexa, talking to Siri, and talking to Google Home. Back in 2009, I owned a Ford car that had a primitive (and laughably inaccurate) infotainment system – today, a new car might do a lot better, perhaps due to embedded Alexa. Will we soon be talking to our ovens, to our laser printers and photocopiers, to our medical implants, to our assembly-line equipment, and to our network infrastructure? It wouldn’t surprise Alexa in the least. Criminals steal money from other places too. While many cybercriminals target banks, the reality is that there are better places to steal money, or at least, steal information that can be used to steal money. That’s because banks are generally well-protected – and gas stations, convenience stores, smaller on-line retailers, and even payment processors are likely to have inadequate defenses — or make stupid mistakes that aren’t caught by security professionals. Take TIO Networks, a bill-payment service purchased by PayPal for US$233 in July 2017. TIO processed more than $7 billion in bill payments last year, serving more than 10,000 vendors and 16 million consumers. Another common place where money changes hands: The point-of-purchase device. Consider payment-card skimmers – that is, a hardware device secretly installed into a retail location’s card reader, often at an unattended location like a gasoline pump. The amount of fraud caused by skimmers copying information on payment cards is expected to rise from $3.1 billion in 2015 to $6.4 billion in 2018, affecting about 16 million cardholders. Those are for payment cards that don’t have the integrated EMV chip, or for transactions that don’t use the EMV system. EMV chips, also known as chip-and-PIN or chip-and-signature, are named for the three companies behind the technology standards – Europay, MasterCard, and Visa. 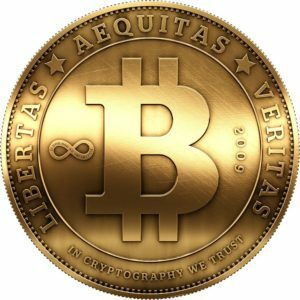 Chip technology, which is seen as a nuisance by consumers, has dramatically reduced the amount of fraud by generating a unique, non-repeatable transaction code for each purchase. The rollout of EMV, especially in the United States, is painfully slow. Many merchants still haven’t upgraded to the new card-reader devices or back-end financial services to handle those transactions. 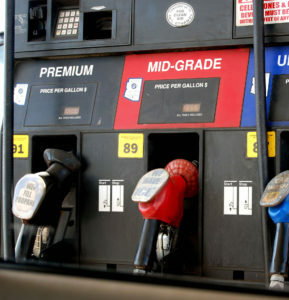 For example, there are very few fuel stations using chips to validate transactions, and so pay-at-the-pump in U.S. is universally still dependent on the mag stripe reader. That presents numerous opportunities for thieves to install skimmers on that stripe reader, and be able to steal payment card information. For an excellent, well-illustrated primer on skimmers and skimmer-related fraud at gas stations, see “As gas station skimmer card fraud increases, here’s how to cut your risk.” Theft at the point of purchase, or at payment processors, will continue as long as companies fail to execute solid security practices – and continue to accept non-EMV payment card transactions, including allowing customers to type their credit- or debit-card numbers onto websites. Those are both threats for the foreseeable future, especially since desktops, notebooks, and mobile device don’t have built-in EMV chip readers. Crooks are clever, and are everywhere. They always have been. Money theft and fraud – no matter how secure the banks are, it’s not going away any time soon. Passwords? Fingerprints? Face recognition? It’s all questionable. I unlock my smartphone with a fingerprint, which is pretty secure. Owners of the new Apple iPhone X unlock theirs with their faces – which is reported to be hackable with a mask. My tablet is unlocked with a six-digit numerical code, which is better than four digits or a pattern. I log into my laptop with an alphanumeric password. Many online services, including banks and SaaS applications, require their own passwords. It’s a mess! Not the least because lazy humans tend to reuse passwords, so that if a username and password for one service is stolen, criminals can try using that same combination on other services. Hackers steal your email and password from some insecure e-commerce site’s breach? 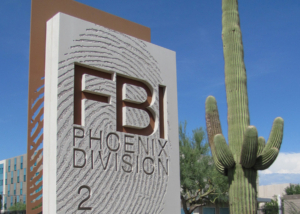 They’ll try that same ID and password on Facebook, LinkedIn, eBay, Amazon, Walmart.com, Gmail, Office 365, Citibank, Fidelity, Schwab… you get the idea. Two more weaknesses: Most people don’t change their passwords frequently, and the passwords that they choose are barely more secure than ABCD?1234. And while biometrics are good, they’re not always sufficient. Yes, my smartphone has a fingerprint sensor, but my laptop doesn’t. Sure, companies can add on such technology, but it’s a kludge. It’s not a standard, and certainly I can’t log into my Amazon.com account with a fingerprint swipe. The 2017 Verizon Data Breach Report reports that 81% of hacking-related breaches leverage either stolen or weak passwords. That’s the single biggest tactic used in breaches – followed by actual hacking, at 62%, and malware, at 51%. By the way, I am dismayed by the common use of a person’s email address instead of a unique login name by many retailers and online services. That reduces the bits of data that hackers or criminals need. It’s pretty easy to figure out my email address, which means that to get into my bank account, all you need is to guess or steal my password. But if my login name was a separate thing, like WeinerDogFancier, you’d have to know that andfind my password. On the other hand, using the email address makes things easier for programmers, and presumably for users as well. As usual, convenience beats security. The Deloitte breach, which was discovered in March 2017, succeeded because an administrator account had basically unfettered access to everything. And that account wasn’t secured by two-factor authentication. There were apparently no secondary password protecting critical assets, even from an authenticated user. The hacker compromised the firm’s global email server through an “administrator’s account” that, in theory, gave them privileged, unrestricted “access to all areas”. The account required only a single password and did not have “two-step“ verification, sources said. Emails to and from Deloitte’s 244,000 staff were stored in the Azure cloud service, which was provided by Microsoft. This is Microsoft’s equivalent to Amazon Web Service and Google’s Cloud Platform. In addition to emails, the Guardian understands the hackers had potential access to usernames, passwords, IP addresses, architectural diagrams for businesses and health information. Some emails had attachments with sensitive security and design details. Don’t trust any common single-factor authentication scheme completely; they can all be bypassed or hacked. Require two-factor authentication from any new device, for access outside of normal working hours or geographies, or potentially even a new IP address. Look into schemes that require removable hardware, such as a USB dongle, as a third factor. Secure valuable assets, such as identity databases, with additional protections. They should be encrypted and blocked from download. Consider disabling remote access to such assets, and certainly disable the ability to download the results of identity or customer database searches. If it’s possible to use biometrics or other hardware-based authentication, do so. You might enjoy this riff on passwords by Jeff Atwood in his blog, Coding Horror. Be sure to read the comments. https://alanzeichick.com/wp-content/uploads/face.png 990 1333 Alan Zeichick http://alanzeichick.com/wp-content/uploads/alan-zeichick-logo.png Alan Zeichick2017-11-20 09:10:532018-05-17 08:31:05Passwords? Fingerprints? Face recognition? It's all questionable. Let’s talk about hackers, not through the eyes of the tech industry but through the eyes of current and former U.S. law enforcement officials. It’s their job to run those people down and throw them in jail. It’s not really a secret: In 1865, the Secret Service was created by Congress to primarily suppress counterfeit currency. “Counterfeit currency represented greater than 50% of all the currency in the United States at that time, and that was why the Agency was created,” explained Dr. Ronald Layton, Deputy Assistant Director U.S. Secret Service. “The Secret Service has gone from suppressing counterfeit currency, or economic, or what we used to refer to as paper crimes, to plastic, meaning credit cards. So, we’ve had a progression, from paper, to plastic, to digital crimes, which is where we are today,” he continued. A leading expert in cyber-security, Levin is Former Deputy Director, U.S. Department of Homeland Security’s National Cyber-Security Division. He retired from the government a few years ago, and is now CEO & Founder of the Center for Information Security Awareness. AOL Instant Messenger will be dead before the end of 2017. Yet, instant messages have succeeded far beyond what anyone could have envisioned for either SMS (Short Message Service, carried by the phone company) or AOL, which arguably brought instant messaging to regular computers starting in 1997. It would be wonderful to claim that there’s some great significance in the passing of AIM. However, my guess is that there simply wasn’t any business benefit to maintaining ia service that nearly nobody used. The AIM service was said to carry far less than 1% of all instant messages across the Internet… and that was in 2011. Interestingly, my wife, who also has an AIM account but never uses it, thought that the message above was a phishing scam of some sorts. So, AIM is dead. But not instant messaging, which is popular for both consumers and business users, and for desktop/notebooks and smartphones. 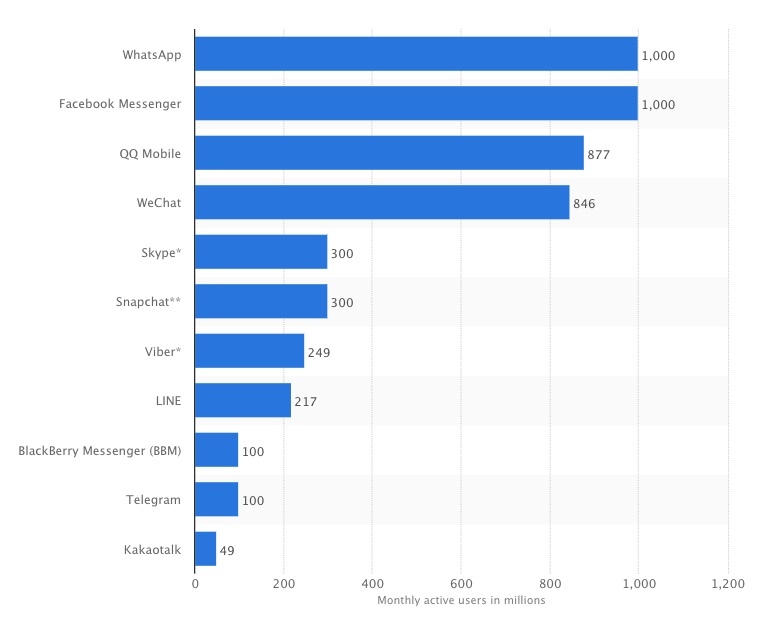 There are so many clients that consumers can use; according to Statistica, here are the leaders as of January 2017, cited in millions of active monthly users. AIM didn’t make the list. Then there are the corporate instant message platforms, Slack, Lync, and Symphony. And we’re not even talking social media, like Twitter, Google+, Kik, and Instagram. So – Instant messaging is alive and well. AIM was the pioneer, but it ceased being relevant a long, long time ago. My Benchmade Bugout Axis knife arrived last week. I’ve been using it as an everyday carry (EDC) knife, instead of my usual Benchmade Griptilian or Mini Griptilian. Summary: The Bugout is very nice and light, with an excellent blade. The handle’s too thin for a sturdy grip, so I wouldn’t want it in a knife fight. It could be easily knocked out of my hand. Easier to drop, I think, than the Griptilian or Mini Grip. Still, the Bugout nice and practical for a pocket knife, and the Axis is my favorite locking mechanism. 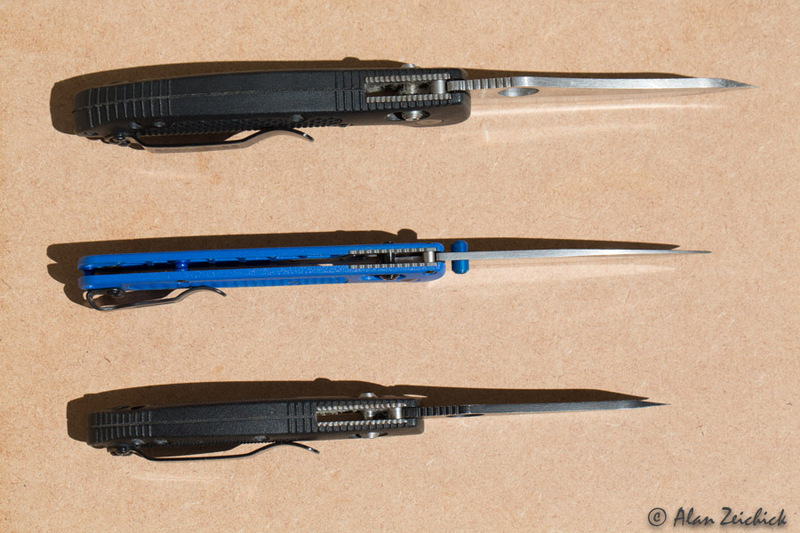 What’s good about the Bugout: Light (1.85 ounces, says Benchmade), blade length (3.24”) steel (S30V), pretty blue handle, thin (0.42”). The blade is thin (0.09”). Compare to the Griptilian, seen here with a black handle and silver blade. Slightly longer and thicker blade than the Bugout (3.45” and 0.11”), much thicker handle (0.64”) and twice the weight (3.79 ounces). Many choices of steel. Compare to the Mini Grip, seen here with a black handle and black blade. Shorter but thicker blade compared to the Bugout, (2.91” and 0.10”), thicker handle (0.51”), and greater weight (2.68 ounces). Many choices of steel. What’s not so good about the Bugout: Beyond the slightly hard-to-grasp handle, it’s the lack of essential options. With the Griptilian and Mini Grip, you can choose the steel. You can choose the blade shape. You can choose the colors. 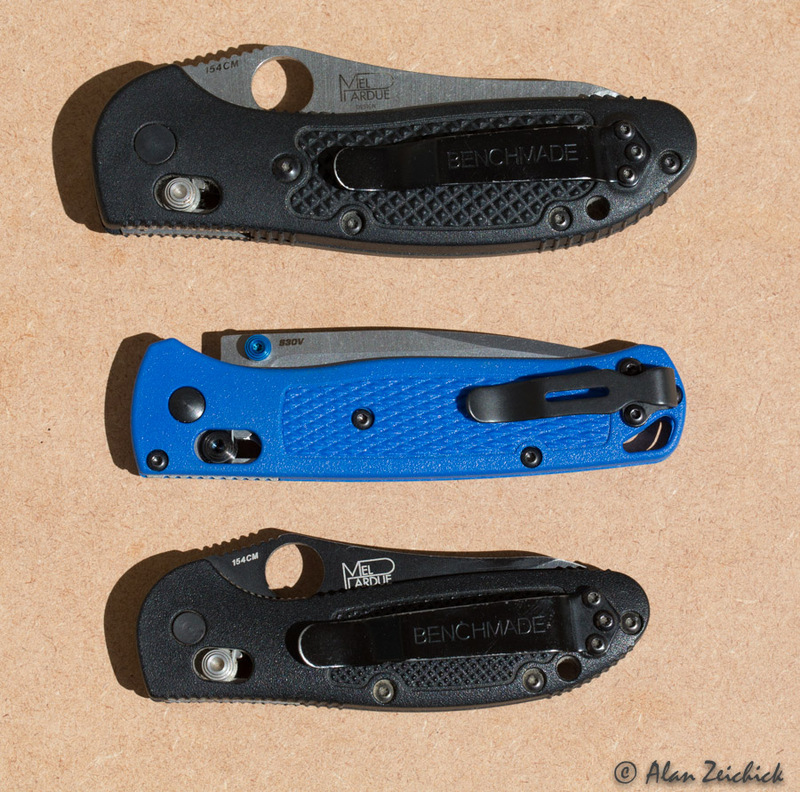 Not so with the Bugout, at least not yet, so I’m stuck with the drop-point and blue. Oh, you can do custom engraving on the Bugout blades. Nice if you’re giving one as a gift. Bottom line: The Bugout is a very nice, very civilized EDC. I’m happy to wear it with nice trousers, or at any time where slimness or light weight are paramount. 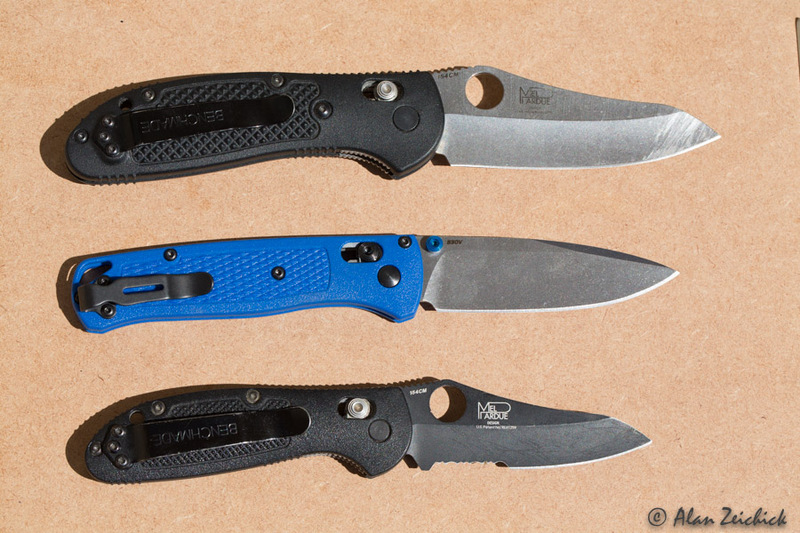 (Those are the scenarios that Benchmade touts, especially for packing into a backpack or other “bugout” gear.) The big loser here is the Mini Grip, which has been supplanted by a lighter knife with a longer blade. Go ahead, bring on the apple, bring on the wrapped package, bring on the rope/cord. The Bugout has it covered. That said: For going out on walks, or other outings with jeans or cargo pants, when weight is not an issue, the Griptilian will still be my #1 EDC. Although it’s a well-documented fact that women have to wait longer at the bathroom stall, so far the mathematical perspective seems to be lacking in literature. This is in spite of the decennia-long existence of the field of queuing theory, which has traditionally been applied most to problems of technology and decent people, rather than to such inescapable habits as the act of excreting. Nevertheless, mathematics is what you need to analyze queues because of the inherent random nature of queuing phenomena, turning simple lines of people into complex nonlinear systems with numerous parameters, whereby a small deviation can lead to excessive additional waiting. This is as opposed to good old linear systems, which see linear changes of parameters translated in proportional variations at their output. 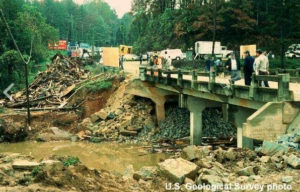 Nonlinear systems are common in everyday life and nature. A virus for example will result in a pandemic much faster if it is just slightly more infectious. And just a few extra cars make for a traffic jam appearing out of thin air. Similarly, toilet queues, or any queue for that matter, pose nonlinear problems in which the fragile balance between capacity and demand can be disrupted by subtle tweaks. A first factor explaining why women wait longer is that the net number of toilets for women is smaller than that for men. The toilet sections for men and women are often of equal size, as is the surface dedicated to each of them. What appears to be “fair” at first sight, is quite unreasonable knowing that a toilet cabin inevitably takes up more space than a urinal. 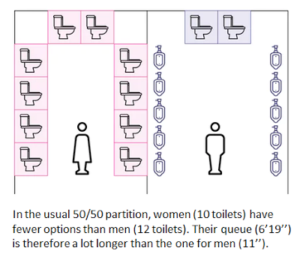 Overall, an average toilet area can accommodate 20 to 30% more toilets for men (urinals + cabins) than for women. Read the whole article — and there’s no waiting, whether you are male or female. Tell your customers about your data breaches! Did they tell their customers that data was stolen? No, not right away. 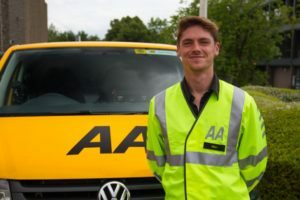 When AA — a large automobile club and insurer in the United Kingdom — was hacked in April, the company was completely mum for months, in part because it didn’t believe the stolen data was sensitive. AA’s customers only learned about it when information about the breach was publicly disclosed in late June. There are no global laws that require companies to disclose information about data thefts to customers. There are similarly no global laws that require companies to disclose defects in their software or hardware products, including those that might introduce security vulnerabilities. It’s obviously why companies wouldn’t want to disclose problems with their products (such as bugs or vulnerabilities) or with their back-end operations (such as system breaches or data exfiltration). If customers think you’re insecure, they’ll leave. If investors think you’re insecure, they’ll leave. If competitors think you’re insecure, they’ll pounce on it. And if lawyers or regulators think you’re insecure, they might file lawsuits. No matter how you slice it, disclosures about problems is not good for business. Far better to share information about new products, exciting features, customer wins, market share increases, additional platforms, and pricing promotions. That’s not to say that all companies hide bad news. Microsoft, for example, is considered to be very proactive on disclosing flaws in its products and platforms, including those that affect security. When Microsoft learned about the Server Message Block (SMB) flaw that enabled malware like WannaCry and Petya in March, it quickly issued a Security Bulletin that explained the problem — and supplied the necessary patches. If customers had read the bulletin and applied the patches, those ransomware outbreaks wouldn’t have occurred. When you get outside the domain of large software companies, such disclosures are rare. Automobile manufacturers do share information about vehicle defects with regulators, as per national laws, but resist recalls because of the expense and bad publicity. Beyond that, companies share information about problems with products, services, and operations unwillingly – and with delays. The leaky database was first discovered by the AA on April 22 and fixed by April 25. In the time that it had been exposed, it had reportedly been accessed by several unauthorised parties. An investigation by the AA deemed the leaky data to be not sensitive, meaning that the organisation did not feel it necessary to tell customers. Yet the breach contained over 13 gigabytes of data with information about 100,000 customers. Not sensitive? Well, the stolen information included email addresses along with names, IP addresses, and credit card details. That data seems sensitive to me! The GDPR will introduce a duty on all organisations to report certain types of data breach to the relevant supervisory authority, and in some cases to the individuals affected. A hospital could be responsible for a personal data breach if a patient’s health record is inappropriately accessed due to a lack of appropriate internal controls. Where a breach is likely to result in a high risk to the rights and freedoms of individuals, you must notify those concerned directly. A ‘high risk’ means the threshold for notifying individuals is higher than for notifying the relevant supervisory authority. If the breach is sufficiently serious to warrant notification to the public, the organisation responsible must do so without undue delay. Failing to notify a breach when required to do so can result in a significant fine up to 10 million Euros or 2 per cent of your global turnover. Bottom line: Next year, companies in the E.U. must do better disclosing data breaches that affect their customers. Let’s hope this practice extends to more of the world. https://alanzeichick.com/wp-content/uploads/AA.jpg 417 625 Alan Zeichick http://alanzeichick.com/wp-content/uploads/alan-zeichick-logo.png Alan Zeichick2017-07-10 10:53:532018-05-18 06:42:33Tell your customers about your data breaches! Virtual reality and augmented reality are the darlings of the tech industry. Seemingly every company is interested, even though one of the most interested AR products, Google Glass, crashed and burned a few years ago. Virtual reality (VR) is when you are totally immersed in a virtual world. You only see (and hear) what’s presented to you as part of that virtual world, generated by software and displayed in stereo goggles and headphones. The goggles can detect motion, and can let you move around in virtual world. Games and simulations take place in VR. Augmented reality (AR) means visual overlays. You see the real world, with digital information superimposed on it. 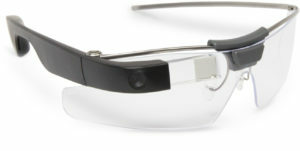 Google Glass was AR. So, too, are apps where you aim your smartphone’s camera at the sky, and the AR software overlays the constellations on top of the stars, and shows where Saturn is right now. AR also can guide a doctor to a blood clot, or an emergency worker away from a hot wire, or a game player to a Pokemon character in a local park. Both AR and VR have been around for decades, although the technology has become smaller and less expensive. There are consumer-oriented devices, such as the Oculus, and many professional systems. Drivers for the success of AR and VR are more powerful computing devices (such as smartphones and game consoles), and advances in both high-resolution displays and motion sensors for goggles. That doesn’t mean that AR/VR are the next Facebook or Instagram, though both those companies are looking at AR/VR. According to a study, “VR/AR Innovation Report,” presented by the UBM Game Network, VR’s biggest failures include a lack of subsidized hardware enterprise applications, and native VR experiences. The gear is too expensive, developers say, and manufacturers are perceived to have failed in marketing VR systems and software. Notably, we saw that many still feel like VR’s greatest unsolved problem is the high risk of causing nausea and physical discomfort. That doesn’t mean that VR and AR are worthless. Pokemon Go, which was a hit a few summers ago, demonstrated that AR can engage consumers without stereo goggles. Google Earth VR provides immersive mapping experiences. The hardware is also moving forward. A startup in Helsinki, called Varjo, made a breakthrough in optimizing goggles for AR and VR. 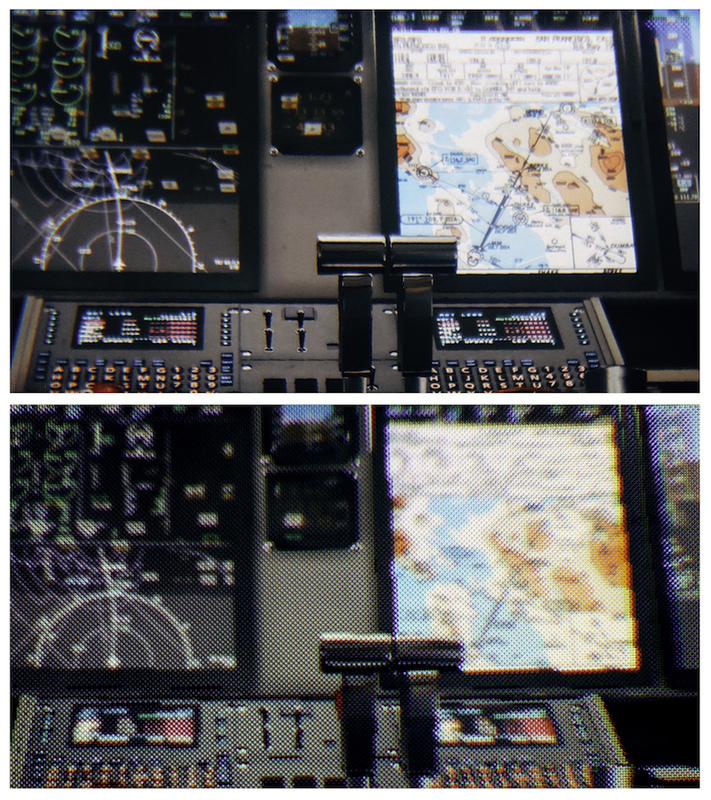 They are addressing the challenge that if you make the resolution low on the goggles so that you can refresh the image quickly, it doesn’t look realistic. But if you increase the resolution to match that of the human eye, it’s harder to drive the image seamlessly in real time. Varjo’s answer is to see where the eye is looking – using a technology called gaze tracking – and seamlessly drive that part of the display in super-high resolution. Where you’re not looking? That can be at a lower resolution, to provide context. Varjo says they can shift the high-resolution spot as fast as you can move your eye – and by tracking the gaze on both eyes, they can see if you are looking at virtual objects “close” or “far away.” The result, Varjo claims, is a display that’s about 35x higher resolution than other commercial systems, without nausea. Varjo is focusing on the professional marketing with headsets that will cost thousands (not hundreds) of dollars when they ship at the end of 2017. However, it shows the promise of realistic, affordable AR/VR technology. Augmented reality and virtual reality are becoming more real every day. The folks at Varjo think they’re made a breakthrough in how goggles for virtual reality and augmented reality work. They are onto something. Most VR/AR goggles have two displays, one for each eye, and they strive to drive those displays at the highest resolution possible. Their hardware and software takes into account that as the goggles move, the viewpoint has to move in a seamless way, without delay. If there’s delay, the “willing suspension of disbelief” required to make VR work fails, and in some cases, the user experiences nausea and disorientation. Not good. The challenge come from making the display sufficiently high resolution to allow the user to make objects look photorealistic. That lets user manipulate virtual machine controls, operate flight simulators, read virtual text, and so-on. Most AR/VR systems try to make the display uniformly high resolution, so that no matter where the user looks, the resolution is there. Varjo, based in Finland, has a different approach. They take advantage of the fact that the rods and cones in the human eye sees in high resolution in the spot that the eye’s fovea is pointing at – and much lower elsewhere. So while the whole display is capable of high resolution, Varjo uses fovea detectors to do “gaze tracking” to see what the user is looking at, and makes that area super high resolution. When the fovea moves to another spot, that area is almost instantly bumped up to super high resolution, while the original area is downgraded to a reduced resolution. Sound simple? 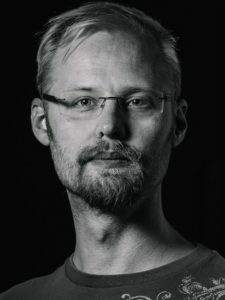 It’s not, and that’s why the initial Varjo technology will be targeted at professional applications, like doctors, computer-aided design workers, or remote instrument operators. Prototypes of the goggles will be available this year to software developers, and the first products should ship to customers at the end of 2018. The price of the goggles is said to be “thousands, not tens of thousands” of dollars, according to Urho Konttori, the company’s founder. We talked by phone; he was in the U.S. doing demos in San Francisco and New York, but unfortunately, I wasn’t able to attend one of them. Now, Varjo isn’t the first to use gaze tracking technology to try to optimize the image. According to Konttori, other vendors use medium resolution where the eye is pointing, and low resolution elsewhere, just enough to establish context. By contrast, he says that Varjo uses super high resolution where the user looks, and high resolution elsewhere. Because each eye’s motion is tracked separately, the system can also tell when the user is looking at objects close to user (because the eyes are at a more converged angle) or farther away (the eyes are at a more parallel angle). The current prototypes use two video connectors and two USB connectors. Konttori says that this will drop to one video connector and one USB connector shortly, so that the device can be driven by smaller professional-grade computers, such as a gaming laptop, though he expects most will be connected to workstations. Konttori will be back in the U.S. later this year. I’m looking forward to getting my hands (and eyes) on a Varjo prototype. Will report back when I’ve actually seen it. 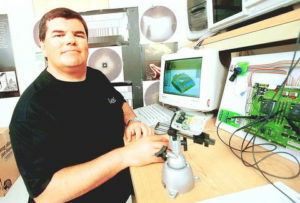 Twenty years ago, my friend Philippe Kahn introduced the first camera-phone. You may know Philippe as the founder of Borland, and as an entrepreneur who has started many companies, and who has accomplished many things. He’s also a sailor, jazz musician, and, well, a fun guy to hang out with. About camera phones: At first, I was a skeptic. Twenty years ago I was still shooting film, and then made the transition to digital SLR platforms. 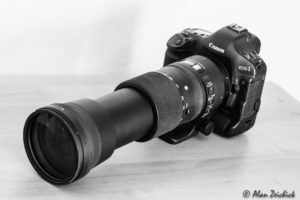 Today, I shoot with big Canon DSLRs for birding and general stuff, Leica digital rangefinders when want to be artistic, and with pocket-sized digital cameras when I travel. Yet most of my pictures, especially those posted to social media, come from the built-in camera in my smartphone. Twenty years ago on June 11th 1997, I shared instantly the first camera-phone photo of the birth of my daughter Sophie. Today she is a university student and over 2 trillion photos will be instantly shared this year alone. Every smartphone is a camera-phone. Here is how it all happened in 1997, when the web was only 4 years old and cellular phones were analog with ultra limited wireless bandwidth. First step 1996/1997: Building the server service infrastructure: For a whole year before June 1997 I had been working on a web/notification system that was capable of uploading a picture and text annotations securely and reliably and sending link-backs through email notifications to a stored list on a server and allowing list members to comment. Remember it was 1996/97, the web was very young and nothing like this existed. The server architecture that I had designed and deployed is in general the blueprint for all social media today: Store once, broadcast notifications and let people link back on demand and comment. That’s how Instagram, Twitter, Facebook, LinkedIn and many others are function. In 1997 this architecture was key to scalability because bandwidth was limited and it was prohibitive, for example, to send the same picture to 500 friends. Today the same architecture is essential because while there is bandwidth, we are working with millions of views and potential viral phenomena. Therefore the same smart “frugal architecture” makes sense. I called this “Instant-Picture-Mail” at the time. What about other claims of inventions: Many companies put photo-sensors in phones or wireless modules in cameras, including Kodak, Polaroid, Motorola. None of them understood that the success of the camera-phone is all about instantly sharing pictures with the cloud-based Instant-Picture-Mail software/server/service-infrastructure. In fact, it’s even amusing to think that none of these projects was interesting enough that anyone has kept shared pictures. You’d think that if you’d created something new and exciting like the camera-phone you’d share a picture or two or at least keep some! 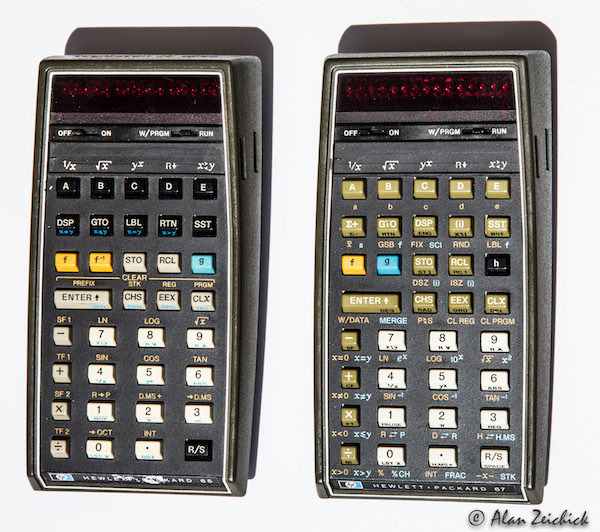 Read more about the fascinating story here — he goes into a lot of technical detail. Thank you, Philippe, for your amazing invention! Many IT professionals were caught by surprise by last week’s huge cyberattack. Why? They didn’t expect ransomware to spread across their networks on its own. The reports came swiftly on Friday morning, May 12. The first I saw were that dozens of hospitals in England were affected by ransomware, denying physicians access to patient medical records and causing surgery and other treatments to be delayed. The infections spread quickly, reportedly hitting as many as 100 countries, with Russian systems affected apparently more than others. What was going on? The details came out quickly: This was a relatively unknown ransomware variant, dubbed WannaCry or WCry. WannaCry had been “discovered” by hackers who stole information from the U.S. National Security Agency (NSA); affected machines were Windows desktops, notebooks and servers that were not up to date on security patches. Most alarming, WannaCry did not spread across networks in the usual way, through people clicking on email attachments. Rather, once one Windows system was affected on a Windows network, WannaCry managed to propagate itself and infect other unpatched machines without any human interaction. The industry term for this type of super-vigorous ransomware: Ransomworm. Iturned to one of the experts on malware that can spread across Windows networks, Roi Abutbul. A former cybersecurity researcher with the Israeli Air Force’s famous OFEK Unit, he is founder and CEO of Javelin Networks, a security company that uses artificial intelligence to fight against malware. In other words, they have a lot of the same information and access as executive employees, but don’t share in their protections. Even if you give them a corporate email address, their laptops, desktops, phone, and tablets are not covered by your IT cybersecurity systems. Here’s an overview article I read today. It’s a bit vague but it does raise the alarm (and prompted this post). For the sake of the organization, it might be worth spending some small time at a board meeting on this topic, to raise the issue. But that’s not enough. What can you do, beyond raising the issue? Perhaps your IT provider can prepare a presentation, and make themselves available to assist. 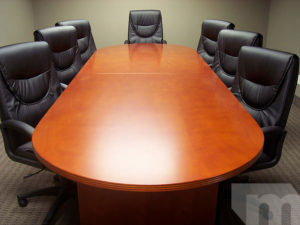 Consider this issue in the same light as board liability insurance: Protecting your board members is the good for the organization. “Alexa! Unlock the front door!” No, that won’t work, even if you have an intelligent lock designed to work with the Amazon Echo. That’s because Amazon is smart enough to know that someone could shout those five words into an open window, and gain entry to your house. Presumably Amazon doesn’t allow voice control of “Alexa! Turn off the security system!” but that’s purely conjecture. It’s not something I’ve tried. And certainly it’s possible go use programming or clever work-around to enable voice-activated door unlocking or force-field deactivation. That’s why while our home contains a fair amount of cutting-edge AI-based automation, perimeter security is not hooked up to any of it. We’ll rely upon old-fashioned locks and keys and alarm keypads, thank you very much. And sorry, no voice-enabled safes for me either. It didn’t work so well to protect the CIA against Jason Bourne, did it? 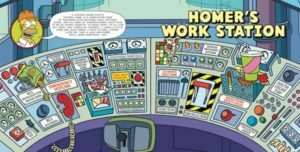 Unlike the fictional CIA safe and the equally fictional computer on the Starship Enterprise, Echo, Google Home, Siri, Android, and their friends can’t identify specific voices with any degree of accuracy. In most cases, they can’t do so at all. So, don’t look to be able to train Alexa to set up access control lists (ACLs) based on voiceprints. That’ll have to wait for the 23rd century, or at least for another couple of years. The inability of today’s AI-based assistants to discriminate allows for some foolishness – and some shenanigans. We have an Echo in our family room, and every so often, while watching a movie, Alexa will suddenly proclaim, “Sorry, I didn’t understand that command,” or some such. What set the system off? No idea. But it’s amusing. 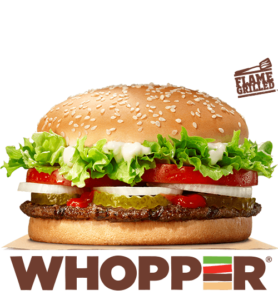 Update: Google has stopped the commercial from working – presumably by blacklisting the specific audio clip from the ad – though Google Home users can still inquire about the Whopper in their own words. Burger King wasn’t the first to try this stunt. Other similar tricks have succeeded against Home and Echo, and sometimes, the devices are activated accidentally by TV shows and news reports. Look forward to more of this. 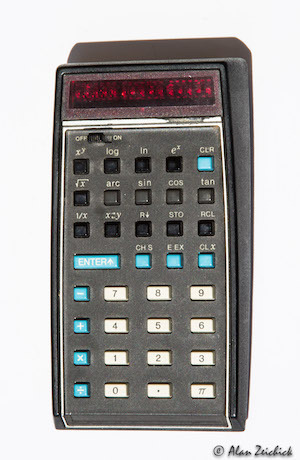 It reminds me of the very first time I saw a prototype Echo. What did I say? “Alexa, Format See Colon.” Darn. It didn’t erase anything. But at least it’s better than a cat running around on your laptop keyboard, erasing your term paper. Or a TV show unlocking your doors. Right? The email client updates in the 10.12.4 update to macOS Sierra is everything that’s wrong with operating systems today. And so is the planned inclusion of an innovative, fun-sounding 3D painter as part of next week’s Windows 10 Creators Update. Repeat after me: Applications do not belong in operating systems. Diagnostics, yes. Shared libraries, yes. Essential device drivers, yes. Hardware abstraction layers, yes. File systems, yes. Program loads and tools, yes. A network stack, yes. A graphical user interface, yes. A scripting/job control language, yes. A basic web browser, yes. Applications bloat up the operating system release. What if you don’t need a 3D paint program? What if you don’t want to use the built-in mail client? The binaries are there anyway taking up storage. Whenever the operating system is updated, the binaries are updated, eating up bandwidth and CPU time. If you do want those applications, bug fixes are tied to OS updates. The Sierra 10.12.4 update fixes a bug in Mail. Why must that be tied to an OS update? 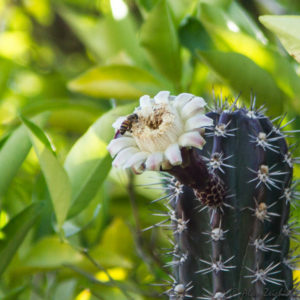 The update supports more digital camera RAW formats. Why are they tied to the operating system, and not released as they become available? The 10.12.4 update also fixes a Siri issue regarding cricket scores in the IPL. Why, for heaven’s sake, is that functionality tied to an operating system update?? That’s simply insane. An operating system is easier for the developer test and verify if it’s smaller. The more things in your OS update release train, the more things can go wrong, whether it’s in the installation process or in the code itself. A smaller OS means less regression testing and fewer bugs. An operating system is easier for the client to test and verify if it’s smaller. Take your corporate clients — if they are evaluating macOS Sierra 10/12/4 or Windows 10 Creators Update prior to roll-out, if there’s less stuff there, the validation process is easier. Performance and memory utilization are better if it’s smaller. The microkernel concept says that the OS should be as small as possible – if something doesn’t have to be in the OS, leave it out. Well, that’s not the case any more, at least in terms of the software release trains. No, Alan isn’t off his rocker, at least not more than usual. Operating system releases, especially those for consumers, have been bloated up with applications and junk for decades. I know that. Nothing will change. Yes, it would be better if productivity applications and games were distributed and installed separately. Maybe as free downloads, as optional components on the release CD/DVD, or even as a separate SKU. 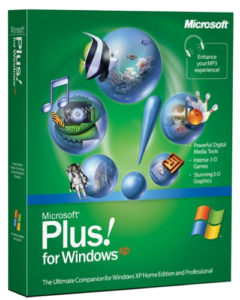 Remember Microsoft Plus and Windows Ultimate Extras? Yeah, those were mainly games and garbage. Never mind. Prepare to wait. And wait. Many Windows 10 users are getting ready for the Creators Update, due April 11. We know lots of things about it: There will be new tools for 3D designing, playing 4K-resolution games, improvements to the Edge browser, and claimed improvements to security and privacy protections. We also know that it will take forever to install. Not literally forever. Still, a long time. Who could be surprised, when the installation estimation times for software are always ludicrously inaccurate? That’s especially true with Windows, which routinely requires multiple waves of download – update – reboot– download – update – reboot– download – update – reboot – rinse and repeat. That’s especially true if you haven’t updated for a while. It goes on and on and on. The first task was to restore the laptop to its factory installation. This was accomplished using the disk image stored on a hidden partition, which was pretty easy; Dell has good tools. It didn’t take long for Windows 10 to boot up, nice and pristine. That’s when the fun began: Installing Windows updates. Download – update – reboot– download – update – rinse – repeat. For two days. TWO DAYS. And that’s for a bare machine without any applications or other software. 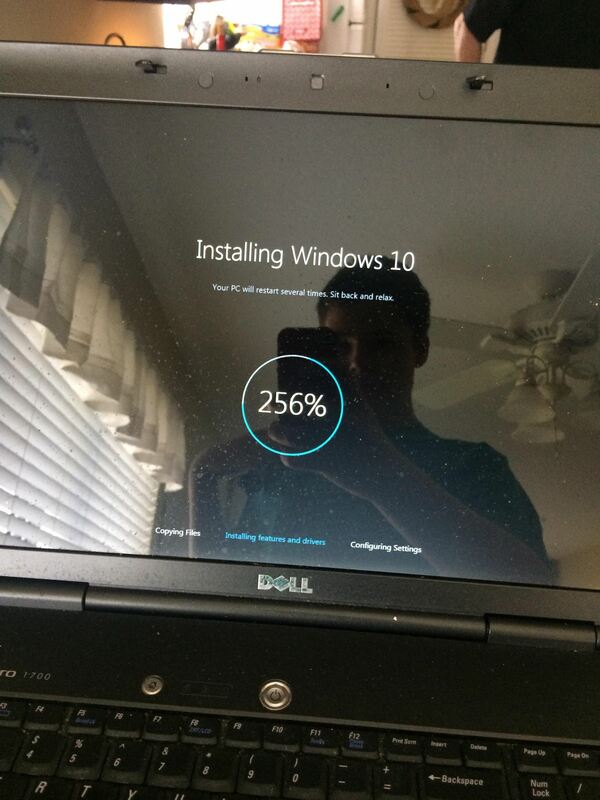 Thus, my belief in two things: First, Windows saying 256% done is entirely plausible. Second, it’s going to take forever to install Windows 10 Creators Update on my Surface Pro. Good luck, and let me know how it goes for you. What’s the deal with Apple iCloud accounts being hacked? A hacker group claims to have access to 250 million iCloud and other Apple accounts. They are threatening to reset all the passwords on those accounts – and then remotely wipe those phones using lost-phone capabilities — unless Apple pays up with untraceable bitcoins or Apple gift cards. The ransom is a laughably small $75,000. According to various sources, at least some of the stolen account credentials appear to be legitimate. Whether that means all 250 million accounts are in peril, of course, is unknowable. Apple seems to have acknowledged that there is a genuine problem. The company told CNET, “The alleged list of email addresses and passwords appears to have been obtained from previously compromised third-party services.” We obviously don’t know what Apple is going to do, or what Apple can do. It hasn’t put out a general call, at least as of Thursday, for users to change their passwords, which would seem to be prudent. It also hasn’t encouraged users to enable two-factor authentication, which should make it much more difficult for hackers to reset iCloud passwords without physical access to a user’s iPhone, iPad, or Mac. Unless the hackers alter the demands, Apple has a two-week window to respond. From its end, it could temporarily disable password reset capabilities for iCloud accounts, or at least make the process difficult to automate, access programmatically, or even access more than once from a given IP address. So, it’s not “game over” for iCloud users and iPhone owners by any means. It could be that the hackers are asking for such a low ransom because they know their attack is unlikely to succeed. They’re possibly hoping that Apple will figure it’s easier to pay a small amount than to take any real action. My guess is they are wrong, and Apple will lock them out before the April 7 deadline. Too many criminal networks have access to too much data. Where are they getting it? Everywhere. The problem multiplies because people reuse usernames and passwords. For nearly every site nowadays, the username is the email address. That means if you know my email address (and it’s not hard to find), you know my username for Facebook, for iCloud, for Dropbox, for Salesforce.com, for Windows Live, for Yelp. Using the email address for the login is superficially good for consumers: They are unlikely to forget their login. The bad news is that account access now depends on a single piece of hidden information: the password. And people reuse passwords and choose weak passwords. So if someone steals a database from a major retailer with a million account usernames (which are email addresses) and passwords, many of those will also be Facebook logins. And Twitter. And iCloud. That’s how hackers can quietly accumulate what they claim are 250 million iCloud passwords. They probably have 250 million email address / password pairs amalgamated from various sources: A million from this retailer, ten million from that social network. It adds up. How many of those will work in iTunes? Unknown. Not 250 million. But maybe 10 million? Or 20 million? Either way, it’s a nightmare for customers and a disaster for Apple, if those accounts are locked, or if phones are bricked. As long as we use passwords, and users have the ability to reuse passwords, this problem will exist. Hackers are excellent at stealing data. Companies are bad at detecting breaches, and even worse about disclosing them unless legally obligated to do so. Can Apple present those 250 million accounts from being seized? Probably. Will problems like this happen again and again and again? For sure, until we move away from any possibility of shared credentials. And that’s not happening any time soon. https://alanzeichick.com/wp-content/uploads/e9a41a49a5da6b6492db0af0f4efe3de.jpg 736 736 Alan Zeichick http://alanzeichick.com/wp-content/uploads/alan-zeichick-logo.png Alan Zeichick2017-03-23 17:51:212018-05-18 16:07:23What's the deal with Apple iCloud accounts being hacked?